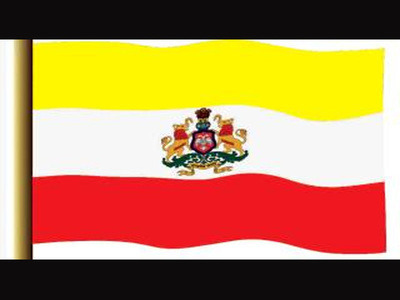 The 9-member committee appointed by the Karnataka government has reported a separate state flag. It submitted report on designing separate flag for the state and providing a legal standing for it. It has discounted any constitutional or legal hurdles for it. The committee has recommended new tricolour having yellow (at top), white (in middle) and red (at bottom) colors, with state’s emblem Gandaberunda (a two-headed mythological bird) in centre. Ministry of New and Renewable Energy (MNRE) under its “Development of Solar Cities” scheme has sanctioned development of 60 Solar Cities including 13 Pilot and 5 Model Cities up to 12th Five-year Plan period (2012–2017). The National Highways Authority of India (NHAI) is going to launch pilot project of Pay as you use tolling on the Delhi Mumbai national highway to study implement ability of system in the country. The pilot project involves implementing a satellite based electronic toll collection system running on GPS/GSM technology for around 500 commercial vehicles on selected national highway for one year. India successfully test-fired its indigenously developed nuclear capable Prithvi-II missile as part of a user trial by the Army from Integrated Test Range at Chandipur, in Odisha. Prithvi-II is capable of carrying 500-1,000 kilogram of warheads and is thrusted by liquid propulsion twin engines. It is a surface-to-surface missile and has a strike range of 350 km. Google and National Council of Educational Research and Training (NCERT) signed a pact to integrate a course on ‘Digital Citizenship and Safety’ in information and communication technology curriculum. It was signed on the occasion of Safer Internet Day (06th February). The US-based SpaceX has successfully launched the world’s most powerful operational rocket Falcon Heavy towards Mars. The rocket, carrying a Tesla Roadster car, will revolve around the Sun in a way that will repeatedly bring it close to the Earth and Mars. alcon Heavy successfully lifted off from Launch Complex 39A at Kennedy Space Center in Florida.